This morning I had oatmeal for breakfast, and it made me think of Norway trips past and present. On my first trip with the Ford Sayre team, Dan Nelson would make a huge pot of oatmeal every morning. It was good oatmeal (he often added apples, I think), but by the end of the trip I was sick of oatmeal. On my most recent (I won’t say last!) trip with the Ford Sayre team, Tim and Margaret Caldwell making a huge pot of oatmeal every morning. Maybe it was because I was only there for half the length of the trip, but I never got sick of the oatmeal. This trip was probably the best thing I will do all year, although sorry Caldwells, the oatmeal isn’t why. As Zurich has been from winter to summer and back again about five times since my mid-March trip to Lillehammer, those days seem far away. But before it gets further, I thought I should write something about it. 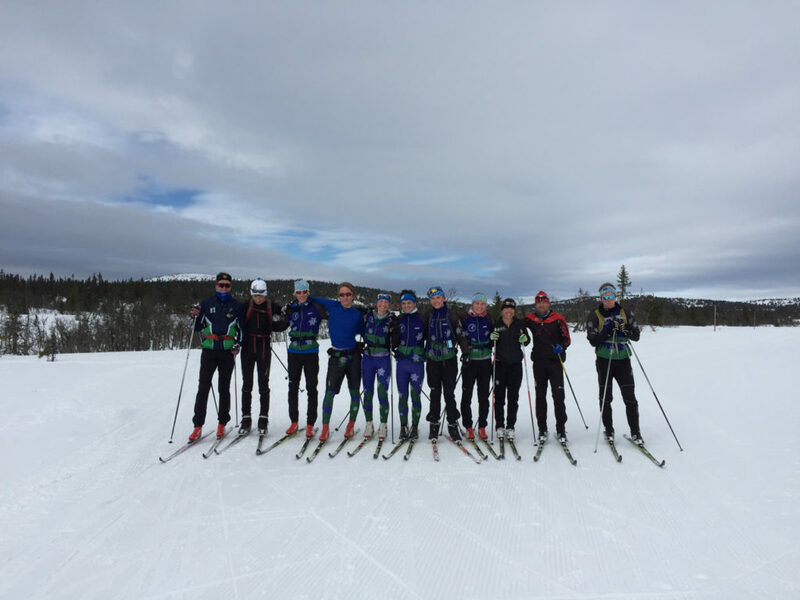 Every three to five years or so Ford Sayre (my home club from high school, based in Hanover, NH) runs a trip to Oslo and Lillehammer at the end of the winter. There’s always one or two racing experiences during the trip, but of a lot of the point is to ski as much as possible and see how the sport is woven into the fabric of the culture. Seeing how active everyone is “gives credibility to what the skiers do in the club program – they are no longer the ones who are different from their friends in high school,” Ford Sayre head coach Scottie Eliassen said after the 2010 edition of the trip. 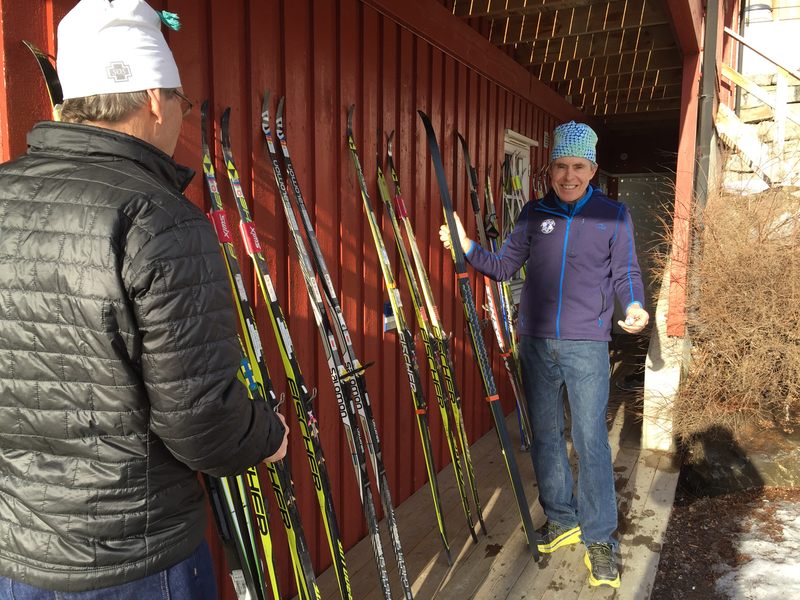 There are plenty of places in North America with a high density of cross-country skiers, but seeing young and old and everyone in between get out on their skis (and on skis of such a wide variety of vintages!) on a random weekday is certainly eye-opening. 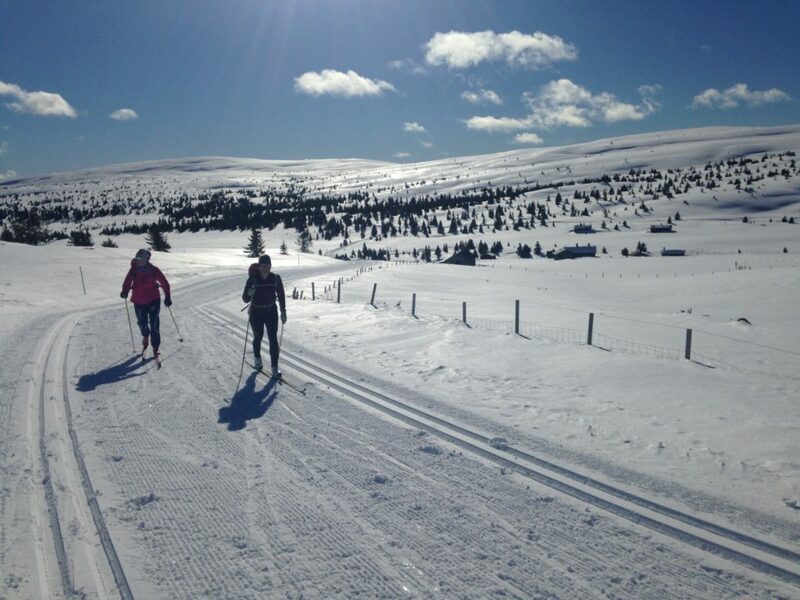 It’s not just seeing how many fast Norwegian kids there are at a Wednesday night club race or U16 Championships; it’s also seeing middle-aged moms out there with technique not so different than my mom’s ski technique, but getting out there most days of the week chatting as they ski along. That’s what we’re all supposed to take back home with us. This year, I was lucky enough to help out with coaching and wax support on their trip. Since I am already based in Europe, the logistics were simple. I flew to Oslo on a Tuesday and took the train up to Lillehammer. After getting picked up at the station, I quickly said hi to a few of the athletes and hopped on my skis, skating up to the Olympic stadium (which was already partly set up for the finish of the Birkebeiner) and then back down again. I had to navigate a crowd of spectators walking along the ski trail up to the ski jump, which was hosting a World Cup that very day. Welcome to Norway! Even though it was warm, the skiing was fantastic and I felt that same joy I do every time I clip into skis after a while of being off snow. 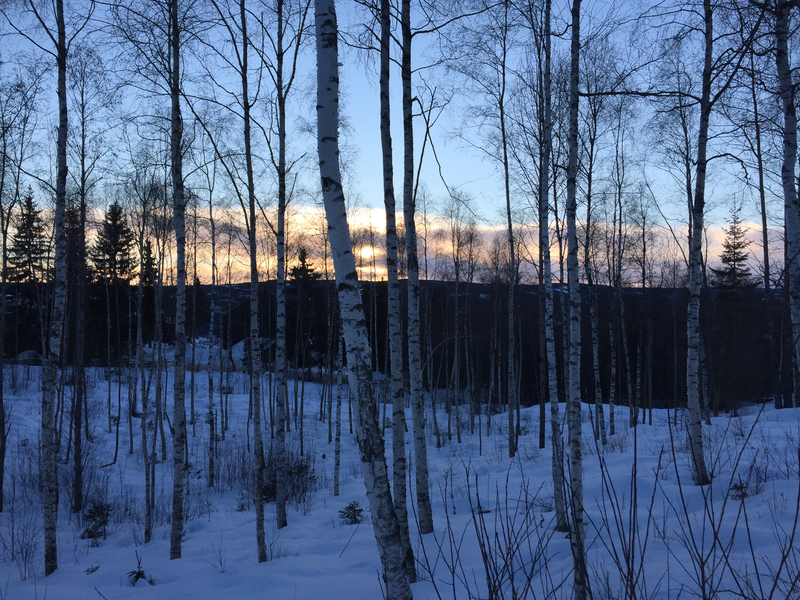 I glided along, but also paused to admire the incredible Scandinavian late-afternoon sunlight coming through the birch trees. I was giddy with the feeling of freedom, of having newly landed on a break from my daily work life. But the landscape also bestows an incredible sense of calm. Experiencing these two feelings at once is quite special. After a shower I headed over to dinner where I got to reunite with the whole crew, who I had last seen when I was on waxing duty at the opening Eastern Cups of the season in in Craftsbury and at some practices over the Christmas break. 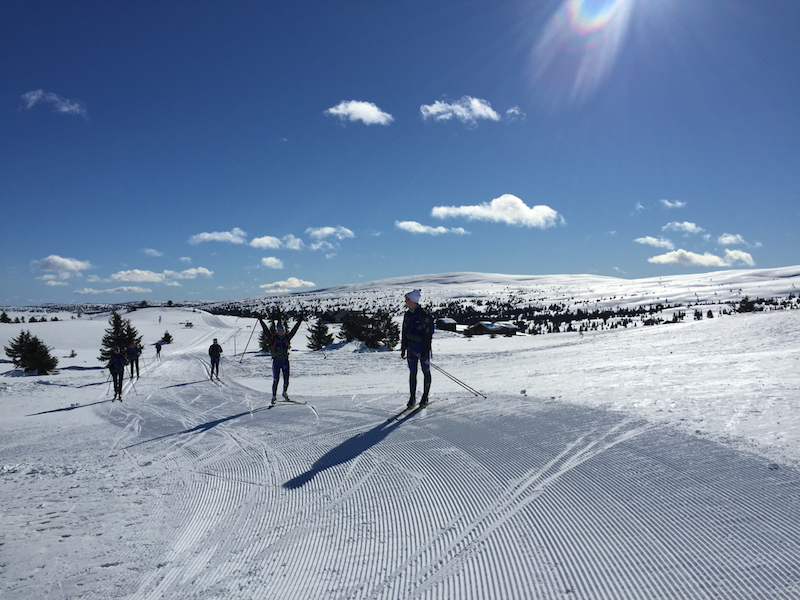 As I was about to experience all week, the joy that I felt zipping up the hill was nothing compared to the wonder of the Ford Sayre athletes experiencing Norway for the first time. I hesitate to say that I’m jaded, because that would imply that I didn’t enjoy Norway. I absolutely love traveling and skiing around Lillehammer is one of my very favorite things. I posted a photo on Instagram after a long ski and one friend messaged me, “you’re smiling so much you look like a different person.” It’s literally transformative compared to my normal existence. Seeing the high school athletes glimpse everything for the first time was, by far, the coolest thing I’ve done all year, and it will be hard to top for the rest of 2017. It made me appreciate every activity that we did in an extra way. And it was a special bonus to have Jørgen Grav around to obligingly answer our silly questions and point out things that we might not have even noticed. The week was filled with long skis and varyingly effective kickwax. I loved every second of it. I spent time skiing with a lot of different people, from the high school athletes to Scottie Eliassen (who, despite the fact that she’s one of my dearest friends and role models, I basically never get to actually ski with – we’ve gone hiking or running together more often in the past five years than skiing!) and the Caldwells, Jørgen, Chris and Mary Osgood, and my partner, the “other” Chris. The day before the Birkebeiner, we tried rather unsuccessfully to do a short ski by walking up the road behind the ski jump and hopping on the trails there. The walk ended up being much loner than we expected… maybe two kilometers? Tim Caldwell and Chris Osgood were uninterested in walking back down the road, and I agreed, so we ditched the group and skied over to the stadium and then down the hill to town. By then, the trail hadn’t been recently groomed, but had been through several melt-to-slush, freeze-to-rock cycles. We gingerly made our way down the trail and I’m not going to lie, it was a bit terrifying. But when we finally hit the giant field below the ski jump, there was perfect crust and cruised all around, making huge sweeping turns and actually whooping with joy. That was the highlight of my day. I’m not as good on my skis as Tim or Chris Osgood, but I do have 30 more years of practice before I hit retirement age so I’d better keep skiing as much as possible. That afternoon, we klistered up 23 pairs of skis, first with base klister and then something warmer. Jørgen and I initially tried to do everything with our thumbs, but by only the second pair of skis it was clear to me that I wouldn’t make it without a massive blister. It was also clear that Tim Caldwell can perfectly smooth a layer of klister in one pass when it takes me five minutes, and I felt very inadequate. We sacrificed the one iron we had into a klister iron and after that everything went much more smoothly. The maestro. Bow before him. Then, it was all about getting ready for the race. I was able to get seeded into the fourth wave, Jørgen was in wave one, and my partner Chris was in wave five, so we had to get up and get going a bit earlier than the rest of the crew. As the whole group rehashed plans and details over and over and re-packed our race bags, my excitement grew, although also my dread. There’s something about heading to a start line several hours away not knowing if your skis will work that produces a certain amount of anxiety. After an early bedtime, it was up at the crack of 4:30 to catch the 5:00 bus from Rena to Lillehammer. The hotel/apartment complex was full of skiers quietly scampering around with headlamps, full of calm anticipation. I’m terrible at sleeping on buses, so I just watched the landscape go by. For a brief period of time we drove through a snow squall, and I thought of the klister on my skis and gulped. But when we arrived at the start, the sky was clear again and a beautiful day was dawning. That in and of itself was a bit of a victory for me. The last time I tried to do the Birkebeiner was in 2014, and the race was canceled, after having been initially just delayed morning-of. 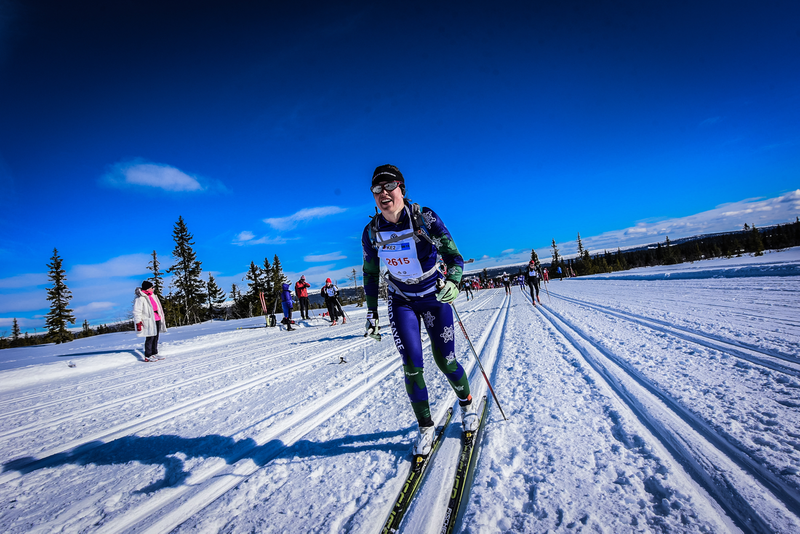 I, along with most of the rest of the field, had made it to the start line only to sit on our buses and then eventually drive back to Lillehammer. This year, I would actually get to race! Based on the recommendation of the Swix representative who was talking over the PA system, Chris and I slapped a hardwax cover over our klister, and then walked around a bit before I headed over to the start line. I had thought I was just in wave four, but it was actually a separate wave a few minutes later: all the women who didn’t make the “elite” wave, but were still expected to do well in their age groups. I don’t know how many of us there were, but it was really fun to all be on the start line together getting ready. It has been ages since I have done a race with just women. The atmosphere was decidedly different. When the gun went off, we headed out of the start and had the trails all to ourselves for several kilometers before the fastest men from the wave behind us began to catch up. The pace felt high – I later realized that this was because I wasn’t feeling my best, not that we were actually going very fast – and the tracks were already a bit sloppy because at these lower elevations it may not have frozen overnight. Despite those two things, I was just so happy to be with the other women. 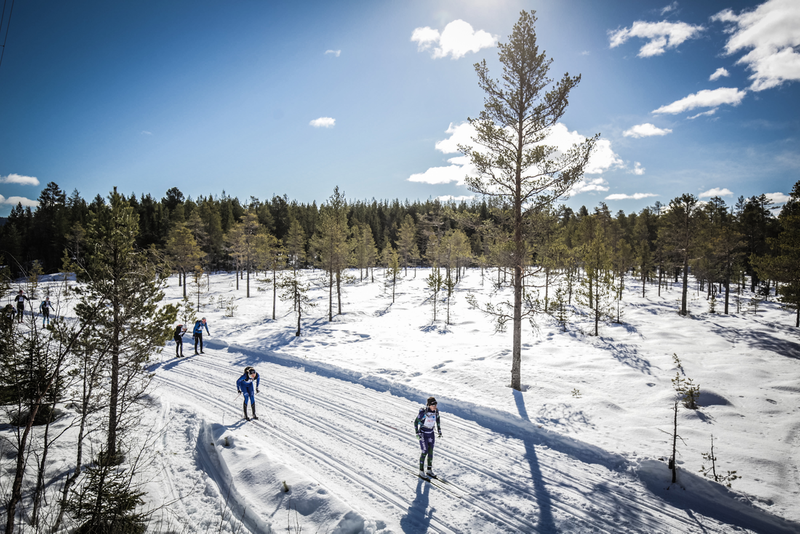 Women are much easier for me to follow in terms of technique and cadence, and as we discussed with the team, women are also much better at skiing an even pace for kilometers on end. The going was easy and the camaraderie fun. But the first several kilometers are not spectacularly beautiful. It wasn’t until we had climbed a bit and all of a sudden the snow was dry and the tracks were hard that I really began smiling. I wasn’t feeling great, but the Birkebeiner is a perfect race in that there’s a lot of climbing but at a very manageable grade. Gradual/moderate striding has always been my biggest strength and strongest technique, and I could just stride along as the vistas opened up and the sun lit everything up. You get in a rhythm and you go. Regardless of fatigue, regardless of anything, I thought: this is the best of all days. Here I am, out in the hinterland surrounded by thousands of people, skiing along in the sun on perfect wax. As always, some dedicated fans or friends of racers had somehow made their way out to seemingly inaccessible parts of the course and were shouting or just calmly spectating while drinking who knows what and roasting sausages. Aside from the American Birkie, you rarely if ever see this in North America. The atmosphere is truly magical. That’s not to say there weren’t sections of the race which were hard. It’s surprising how spread out things get, even with so many thousands of skiers, and some parts were rather windy; I also simply got tired. At some point Sjusjøen felt like it would never come. But it did, and all of a sudden there was an order of magnitude more shouting from a huge crowd of spectators. Sjusjøen is the most accessible waypoint along the trail, and it seemed like everyone from miles around must have made their way there to watch. Dennis and Liz were there too, and I was really excited to see them! It was insane. I took a coca cola feed and immediately felt energized. I never ever drink soda, but that really hit the spot. From Sjusjøen there’s a great, long, fast downhill towards the Olympic stadium. My skis were fast and the biggest challenge was navigating the other people in the trail, especially on a few tight corners. Then the last few kilometers are flat and ever-so-gradually climbing towards the stadium. Even if I was tired, I was still picking people off. I didn’t bonk, which I considered an accomplishment, and a competitiveness which had lain somewhat dormant through the middle of the race kicked back in. By the finish, I wasn’t thrilled with my performance exactly, but given how heavy my legs had felt the whole way, I was happy with what I had done. Not a single fast-twitch muscle had been firing, but I had tried hard, stayed focused, and knocked an hour off the time I skied back in 2006 as a freshman in college. And I made ‘the mark’, something which I had been certain wouldn’t happen. Scottie later emailed me my athlete evaluation from the 2006 trip, and it was funny to look back on my assessment of that first Birkebeiner. It was only the second marathon I had ever done, the first one being a skate race in Rangely, Maine. I snapped this picture of very happy Erik at the finish. Long before Scottie sent me those remarks, I had immediately known that my delight about the race and the conditions was definitely not the coolest part of the day. As I wandered around the finishing area realizing that we had made absolutely zero plan for meeting up afterwards, I eventually ran into Erik Lindahl and then Tim Cunningham. They were both simply amazed at how much fun they’d had. They were still marveling at the wonder of everything and that brought me my biggest smile of the day. It wasn’t just the high school athletes; the coaches also seemed to have had a really great experience. 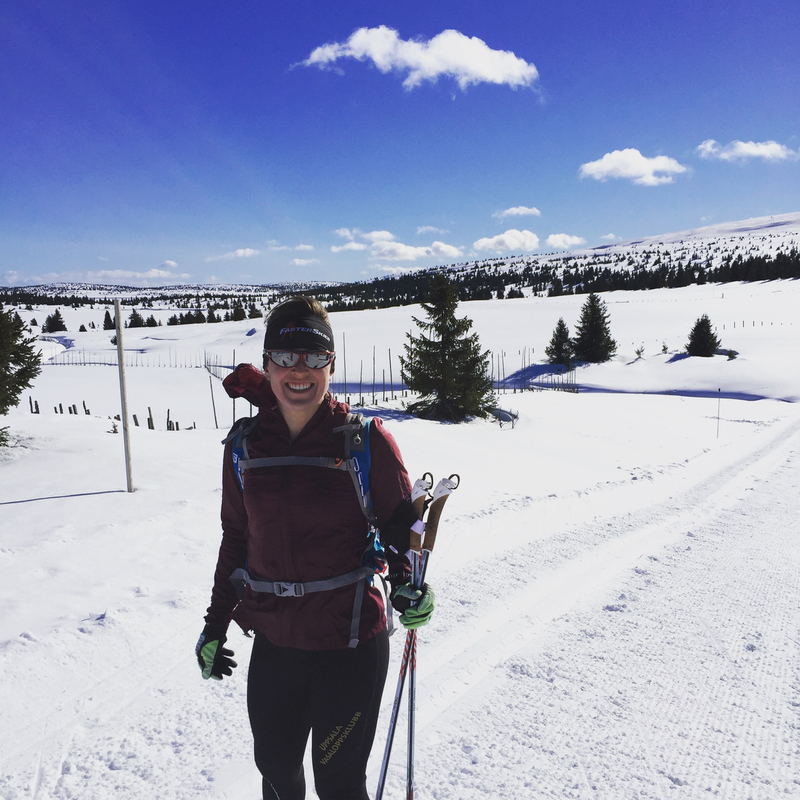 After so many years of running this trip, Scottie finally got to do her first Birkebeiner, and she did great! That was actually really, really cool for me to see, and it made me really happy to see how much she enjoyed it. 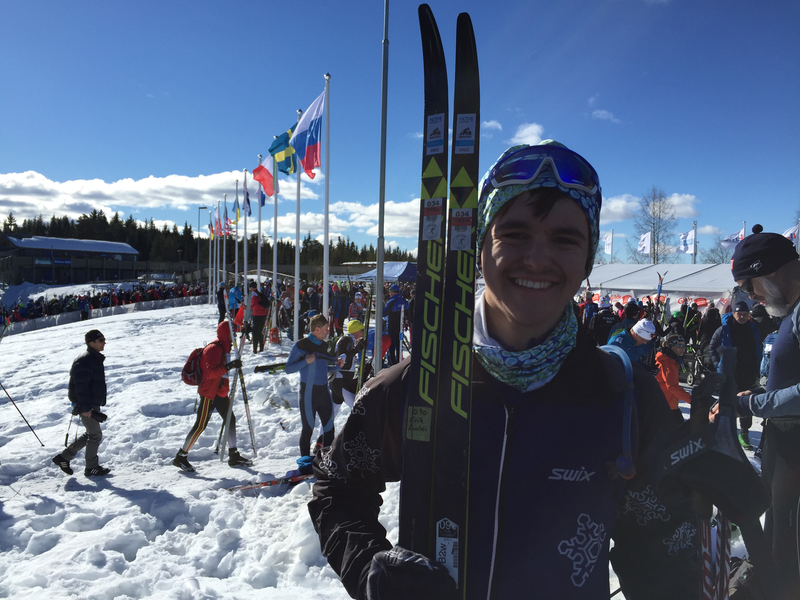 The Caldwells and Osgoods were beaming and joyful, Jørgen said he bonked really hard but was pretty good natured about it, and Chris – who usually complains about classic skiing and hates klister with the wrath of a thousand fiery suns – admitted that it was an extremely cool event. The whole day also reminded me how great it is to have a team. Since moving to Switzerland two and a half years ago, I’ve gone to ski races with another person approximately, what, four times? I have no team or even any training partners, and I’m almost always alone. It’s much harder to put things in context. You get stuck with your own interpretation of the day, and even if it was a good day, that’s just not as fun or as interesting. If it was a bad day, you don’t have a teammate who did great to celebrate. So in that sense, too, thanks a lot to Ford Sayre for having me along on this trip. The next morning, Chris and I had to leave early and catch the 7 a.m. train to get our flights back to Zurich (me) and Canada (him). It was tough to leave the crew, knowing that they would go for one last long, beautiful, special ski and I would be sitting on an airplane going in the opposite direction. I owe a huge thank you to the whole Ford Sayre team for having Chris and I along. It was a fantastic trip and so much fun to hang out with everyone for the week. Photo stolen from the JNT blog, where you can read lots about the athletes’ perspectives on the trip! Swiss baked goods you win as prizes, ranked.